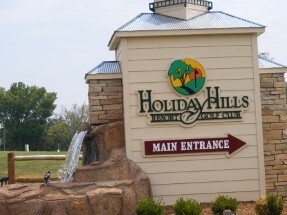 The Hollister Resorts provide a range of styles from small fishing resorts to large, luxury and Golf resorts. The Hollister area is colored gray on our area map . The area on our site includes Point Lookout, MO, and the College of The Ozarks and west along the south shore of Lake Taneycomo almost to the Table Rock Dam area. It covers an area to the south along Hwy 65 to Ridgedale and along the eastern shore of Table Rock Lake south of the Table Rock Dam and State Park Area to below Hwy 86. To the east of Hwy 65 the area includes the area south of Hwy 76 to Kirbyville all the way to the Arkansas State Line. In this area is the Branson Creek development and the new Branson Airport. Since rates can change with the season or the day of the week we list all lodging in Hollister Resorts area in category ranges instead of trying to show all rates. These ranges are based on their basic rooms during a normal season. However the rates may be higher or even lower depending on various factors. The ranges are a guide only and are noted by the hotel name on each page. Hollister Resorts east of Hwy 65………………………. This is one of the premier resort and is nestled in the Ozark Mountains on Table Rock Lake in the Hollister Resorts area. 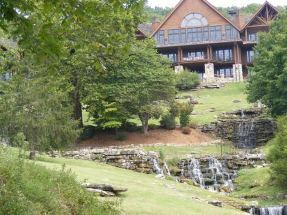 There are a variety of lodging options from lodge rooms to luxurious suites and luxury lodges and cabins. Lodging prices range based on the units and season. The Hollister resort is a perfect family destination as well as a romantic honeymoon or getaway destination. 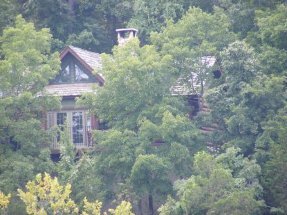 Constructed of rough-hewn logs these retreats are tucked in the woods or on the lake. 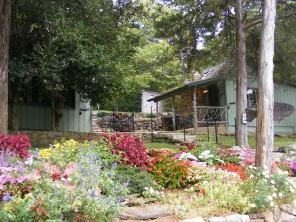 Well equipped kitchen, gas grill, deck, limestone fireplace and whirlpool bath. nestled in the heart of the resort and convenient to dining with swimming pool & fitness Center. 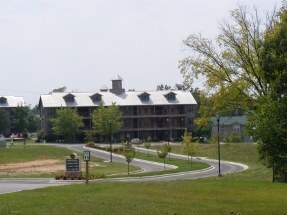 The Hollister Resorts are some of the most convenient to accessing all that Branson has to offer while missing a good deal of the traffic. As you can see there is a range of styles in the area. Whether you are looking for a romantic cabin in Branson, MO area, a golf resort or luxury accommodations you have a lot of choices among the Hollister Resorts. 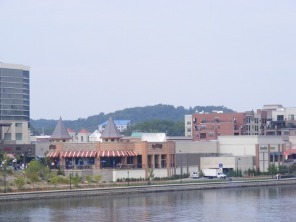 From the Hollister Resorts area Hwy 65 takes you north into the Downtown area and Branson Landing for great shopping, some of the best dining choices as well as entertainment. An exit at Hwy 76 will also take you quickly to the 76 East Area for a wide selection of theaters, activities and food. 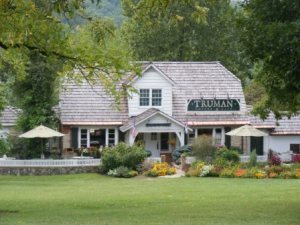 Hwy 65 will also provide an easy way to get from the Hollister Resorts to the Branson North area for shows and shopping around Hwy 248 and the Branson Hills Parkway area. Alternate routes to the 76 Central and 76 West Areas from any of the Hollister Resorts area are the Highways 165 or 265 that cross the Table Rock Dam. These routes can eliminate some of the heavy traffic along the Hwy 76 strip. Either one is a scenic trip through the hills of the Ozarks. 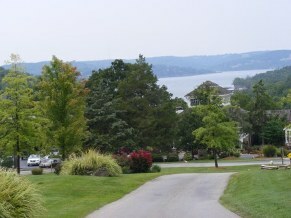 Along Hwy 165 is a scenic overlook area where you have a view of the Branson Area, Table Rock Lake and Lake Taneycomo. To the west you'll see the beautiful Chateau on the Lake Hotel overlooking Table Rock Lake and in the distance Inspiration Tower at Shepherd of the Hills Homestead. You can pick up a scoop of ice cream at Scoops right across the road from the overlook. Hwy 165 and Hwy 265 come together as one south of the Table Rock Dam and then separate after crossing the dam. 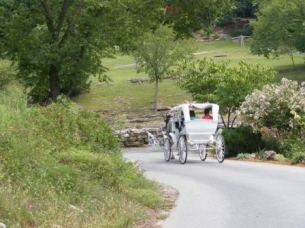 These routes are also the best routes when going to Shepherd of the Hills Homestead or Silver Dollar City from the Hollister Resorts. A couple of miles up to Hwy 265 is Hwy 376 that is a quick access to Shepherd of the Hills Expressway and the 76 West. 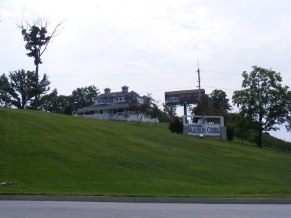 Every way you look at it, the Hollister Resorts provide a great area to base your Branson vacation. The small town of Melva which is now a part of the Branson Creek area was completely destroyed and abandoned after a tornado hit in March of 1920. Eleven people were killed and 9 injured. The ruins of the town can still be seen on the Branson Creek property. Hollister Resorts are located in an area that is full of caves, many of which were used by outlaws of the day as hideouts.